A fascinating little press release from Intel landed in my inbox this morning; Intel has partnered with the Royal Shakespeare Company in the UK to create a performance of The Tempest (wonderful Shakespeare play, by the way). 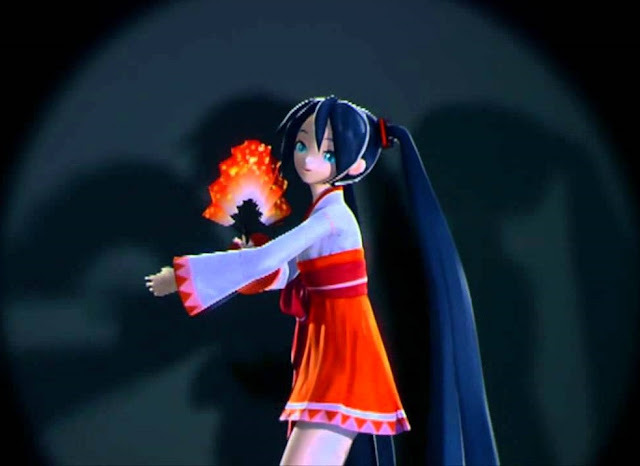 This performance includes a digital rendering of one of the major characters, Ariel the sprite, who will not just appear on stage, but be rendered in real-time. The technology works by capturing the actor’s movements and facial expressions to ensure that the actor’s full performance is translated into the digital character. It has most famously been used in films and gaming. The RSC, Intel and The Imaginarium Studios have undertaken more than a year of research to bring digital avatars to life on stage in real-time, interacting with live actors. The topic of digital characters and personalities being brought into the real world is a topic that fascinates me, as regular readers will know from my musings about Hatsune Miku. Technology is clearly at a point now where we can achieve this in a creatively uninhibited way, and as a result we are seeing a lot of instances of it happening; there's the music concerts of Miku and formerly dead performers like Tupac and Whitney Houston. There's ballet, where as I reported earlier, Miku is set to appear in a Japanese production. There are other examples of digital celebrities being used for fashion, as we saw when Lightning from Final Fantasy XIII became Louis Vuitton's poster girl. And now this. Now digital characters are playing roles in Shakespeare plays. It's an exciting trend, to say the least, and it is absolutely fascinating to observe from a sociological point of view; the impact that digital people are going to have on society as AI becomes more robust, and the tools that we have to bring them into the world become more commonplace and mainstream. It's debatable whether all those impacts will be good, per se, but the dynamics will certainly be interesting to watch play out. Hatsune Miku has been in music, live concerts, games, haute couture, and now ballet. What should she do better than humans next?